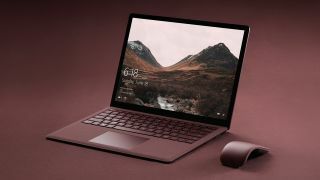 You might recall that older versions of Windows 10 recently got some cumulative updates with performance fixes (among other things), and now it’s the turn of the latest incarnation – the April 2018 Update – of the desktop OS to get a pile of patches sorting various issues. This is a batch of troubleshooting bits and pieces (as opposed to security updates), and amongst the problems solved are an issue that meant the most recent versions of Google’s Chrome browser stopped working on some devices, and a bugbear that caused the HDR streaming calibration slider in Video Settings to stop functioning. There was also a flaw whereby some media content previously generated by Windows Media Center failed to play after installing the April 2018 Update, and this has been remedied. Further fixes are promised for “streaming compatibility issues with certain live TV streaming content providers”, Microsoft notes, and various Remote Desktop woes have been resolved including drop-down menus and pop-up windows failing to appear, and right-clicking not working properly (which sound like frustrating gremlins). There are a fair few fixes here, and for the full list of addressed issues, you can check out Microsoft’s support document. You should be able to grab the cumulative update straight from Windows Update. In order to do that, head to Settings > Update & Security > Windows Update, where you can fire up Check for Updates, which should hopefully find it. Alternatively, if that doesn’t work out for you, the other option is to manually download the KB4284848 update here.